Most of you remember the "Simpsonize Me" craze a few years ago. Recently an artist at DeviantArt.com under the name SimpsonsCameos has created 10 free wallpapers recreating the official Ballad of Gay Tony ones in a Simpsons style. Click the image below or here to go to the download page. 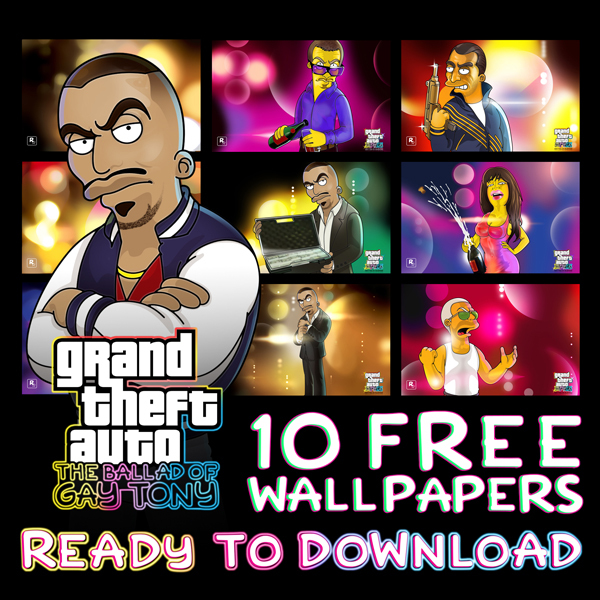 If you have your own Grand Theft Auto artwork such as drawings, scale models, or anything else, be sure to submit them to the site! Join all the GTA discussions including the next GTA in our Grand Theft Auto forums!